For The Love of Tea ! When it comes to tea, everyone talks a lot about the caffeine content. However, there’s another vital component of tea, namely tannin, that you need to know about too. So, what is tannin? Tannins are compounds called polyphenols that are famous for their strong flavor and astringent properties. 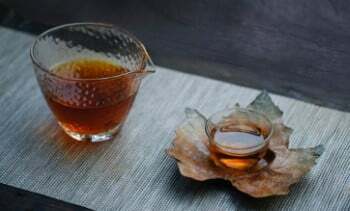 The presence of tannin gives tea its color and taste, and it can vary as we’ll explore further. Teas that contain a high concentration of tannin, such as black and green tea, are usually bitter in taste but are also strongly astringent. Tannin gives tea their anti-oxidative benefits. There are several types of tannin and the one most commonly found in tea are thearubigins which can further be classified into theaflavins. When the anti-oxidizing agents such as catechin in the tea become oxidized, theaflavins are produced. Just like caffeine and all the other components found in tea, the levels of tannin in different types of teas also vary. In general, the darker teas such as black and green tea have higher tannin content. On the other hand, teas such as oolong and white tea have considerably lower tannin content. This is not merely a coincidence. Since it is the tannin in tea which gives the tea a darker coloring, therefore it makes sense that teas with a higher level of tannin generally have a darker color. The reason behind this variation in the quantity of tannin in different teas is that tannins are released after the organic matter is broken down. So, the more the tea leaves are oxidized, the higher the concentration of tannin in that type of tea. Since black tea leaves are some of the most heavily oxidized tea leaves, they have some of the highest tannin levels. Similarly, green tea and white tea contain catechins. These later break down to form tannins when the leaf is oxidized. And in case you haven’t heard of it before, you can find out all about white tea here. Another factor that affects the level of tannin in a tea is the time for which the tea was steeped. Generally, the longer a tea is steeped, the higher its tannin levels will be. This is why sometimes even the same type of tea can have varying levels of tannin. Finally, the tannin levels in different types of teas also depend upon how long the tea leaves were processed for. Generally, fresh leaf tea leaves contain a higher concentration of tannin as opposed to processed teas. There is no one type of green tea. However, each of them has one thing in common- a very high level of tannin. Green tea tops the charts when it comes to tannin levels in different types of teas. In fact, green tea also has some of the highest levels of other components such as polyphenol. These two factors make green tea a markedly healthy beverage choice which can help bring down cholesterol levels, reduce the risk of cancer and of heart diseases. You can find out from my article how to make the perfect cup of green tea from start to finish! Black tea contains a high concentration of tannin, second only to green tea, primarily due to the heavy processing and oxidation. This is apparent in the bitter taste and dark color of black tea especially if it is steeped for a longer time period. This lightly fermented type of tea isn’t oxidized too much either. Both of these factors mean that the tannin levels in oolong too are considerably low. So, if you are looking for an energizing and refreshing cup of tea without the bitterness, then oolong tea might be the best choice for you. You can find a list of my very best teas for beginners which includes some of these flavors. Tannin usually gets a bad rep. It is often touted as the harmful agent in tea. However, tannin actually has a lot of health benefits. If taken in moderation, it can help you maximize the benefits you can get from each cup of tea. But of course, like everything else, moderation is the key. Thanks to its anti-oxidizing nature, tannin not only prevents the formation of cancerous cell development but also helps to counteract the effect of other cancerous elements in the body. Genetic mutation is now more common than ever as a result of excessively consuming processed foods and the extensive use of fertilizers and pesticides on crops. However, tea drinkers can rejoice knowing that the tannin in their tea is anti-mutagenic in nature. This means it prevents the mutation of DNA and the genetic makeup of a person. Tannins are comprised of flavonoids an procyanidins, both of which can work wonders for your heart’s health. Procyanidins, which are a type of polyphenols, improve the function of blood vessels, improve blood flow and prevent heart diseases. Flavonoids, on the other hand, suppress the production of peptides in the body which can cause the arteries to harden and thereby affect blood circulation. The anti-oxidizing nature of tannins also helps with digestion. It prevents diarrhea and improves metabolism. Moreover, it keeps the gut healthy, thereby ensuring a smooth digestion process. Tannins are highly anti-bacterial and antiseptic. They help safely remove microbes from your body which can prove to be harmful. Moreover, tannin counters the effect of various bacteria, fungi, and viruses by stimulating the immune system. Tannin helps to speed up the process of blood clotting. By doing so, you are less likely to contact infections after getting a cut or an open wound. By preventing the arteries from hardening, improving blood flow, and heart function, tannin helps keep the blood pressure in check. As tannin is anti-septic, it fights against the bacteria in the mouth that can lead to cavities. This way, they help improve a person’s oral hygiene by preventing cavities and strengthening the teeth. Moreover, when taken with milk, the tannin in tea can help prevent the tooth staining. The polyphenols found in tannin, especially catechins help to lower the overall cholesterol level of a person. They do this by lowering the ‘bad’ Low-density lipid cholesterols and increasing the ‘good’ high-density lipid cholesterols. This way, they help to maintain a healthy ratio between the good and the bad cholesterol levels in the body. Iron overdose, or hemochromatosis, occurs due to a genetic mutation which leads to an uncontrolled absorption of iron by the body. This condition affects one in every 200 people and is one of the leading causes of congestive heart failure. Tannin in tea helps prevent this excessive absorption of iron. This way, it lowers the need to remove the blood of people facing this condition. Despite its many health benefits, tannin also has some adverse effects on a person’s health. Tannins help prevent excessive absorption of iron, however, if excess amounts of tannin are consumed, this can lead to an iron deficiency which can, in turn,lead to a host of health problems. Teas with a significantly high concentration of tannin can cause pain in the jaw. This is because the astringent nature and bitterness of tannin require the salivary glands to work faster and increase the production of saliva. Ironically though, tannin also helps alleviate jaw pain. Due to tannin’s anti-inflammatory and antiseptic characteristics, applying tea bags of a tannic tea on the jawline can provide relief from jaw pain. Moreover, tannin also binds with starch. Since starch is an essential component in the production of serotonin, excessive consumption of tannin can lead to migraines for people who are sensitive to their serotonin level. However, this connection between migraines and tannin hasn’t been proven yet. Finally, just like caffeine, tannin too binds with vitamins, minerals, and calcium. This way, these are not absorbed by the body. In order to prevent this, it is advised to avoid consuming beverages that contain tannin for up to an hour after a meal. Why not check out my list of the Best Tea Subscription Boxes! Caffeine is what provides a stimulating effect on the body. It helps combat lethargy, improves focus and concentration and energizes the person. Tannin, on the other hand, provides a calming effect. This is why, balancing the concentrations of these two main components of tea, can help you reap the most benefits. Moreover, the temperature and time that each of these components takes to become activated vary. 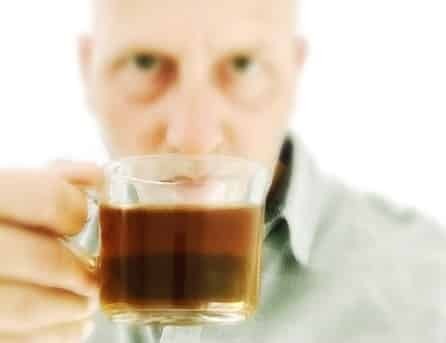 This means you can control the amount of tannin and caffeine in your tea, and thereby their effects. When the tea leaves are steeped, the caffeine is released within the first two minutes. If you continue to steep the tea leaves after this, the tannins will also be released. Tannin usually requires approximately 5 minutes of steeping time before they are fully released. So, if you want a more stimulating cup of tea then steep it for only 2 to 3 minutes. For a more well-balanced effect, steep it for longer. This is why some people feel energized after having tea while others feel calm and sedated. 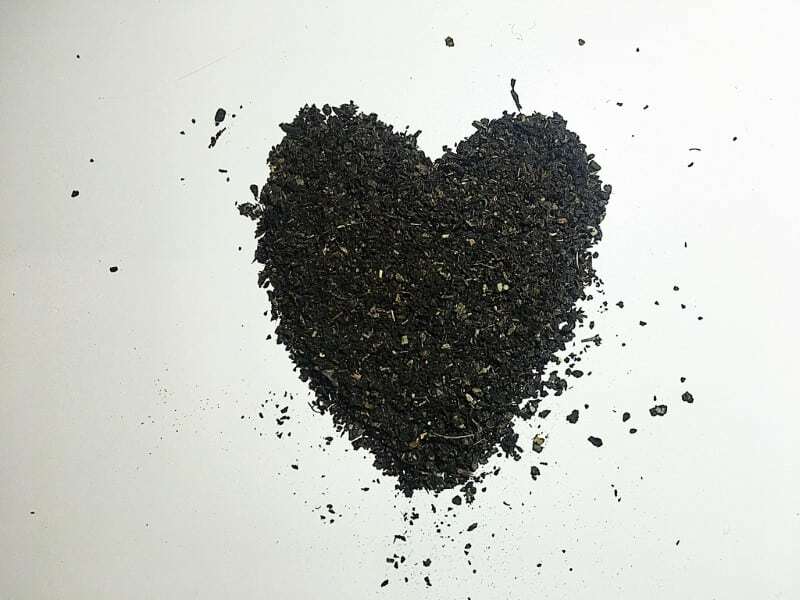 We’re talking about Loose Leaf Tea here, not your average tea bags, they spew out tannin more quickly because the smaller dust like particles have greater surface area and release the tannin quicker. How to Avoid Tannin in Tea? The most obvious way to limit your consumption of tannin is to opt for a type of tea that has a lower level of tannin. 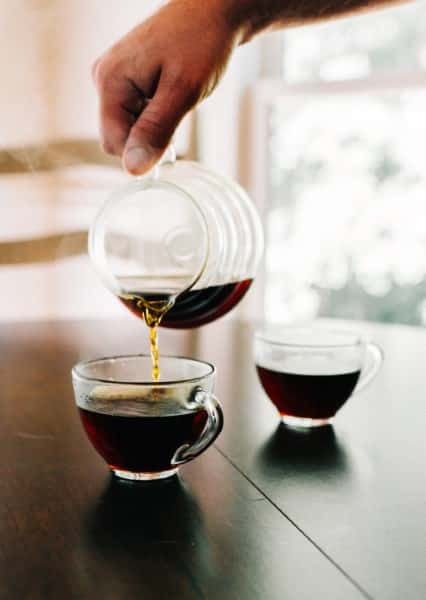 However, if you prefer one of the tannin-rich types of tea such as black tea for their taste or caffeine content etc., then you can remove the majority of tannin from these teas without making any noticeable difference to the caffeine content. You can do this by adding a quarter or half a teaspoon of gelatin powder while heating the water for your tea. When you add the tea leaves or the tea bags to this water for steeping, you will notice that the resulting tea is lighter in color and has a less bitter taste. Both of these factors are affected by tannin levels, so you can safely say that adding a bit of gelatin powder to your tea can help remove most of the tannin in it. When making iced tea, tannin can cause the beverage to become cloudy when the hot brew is poured over ice. To prevent this, you can remove the tannin by adding a quarter teaspoon of baking soda to a cup of hot tea. Finally, you can also limit the level of tannin in your tea by steeping your tea for a lesser amount of time. Typically, it takes up to 4 to 5 minutes of steeping for the tannin to be released from the tea leaves. Ideal for making Builders Tea! I hope this has helped you understand more about Tannin in tea. Forewarned is forearmed they say, plus now you have a great bit of knowledge to impart to your tea head friends – especially whilst sipping your favorite during an afternoon tea party. 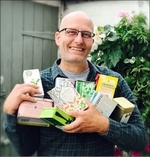 Whilst you’re here and just possibly becoming more of a tea head, then why not head over to my tea wares page, I’ve spent hours and hours sourcing some of the best and most stylish tea making items and gifts around. Should I squeeze the teabag after it has been steeped? It is a common misconception that a tea bag should be squeezed after steeping in order to extract the full flavor. However, doing so only increases the concentration of tannin in the tea. So, it is advised to not squeeze the teabags after steeping it. What other foods and drinks contain tannin? Tannin is commonly found in nuts, various fruits, chocolate, cheese and several types of wine, especially red wine. The guy behind Teahow.com. I have had awful black tea bags all my life and decided it was time for a change. 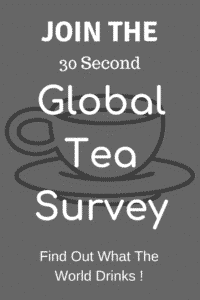 I’ve been exploring the wonderful world of teas and decided to share my findings! This site is owned and operated by Michael Chamberlain. Teahow.com is a participant in the Amazon Services LLC Associates Program, an affiliate advertising program designed to provide a means for sites to earn advertising fees by advertising and linking to Amazon.com. This site also participates in other affiliate programs and is compensated for referring traffic and business to these companies.